The Cahill family have been farming and cheesemaking for over four generations. Originally the milk was sold locally and the cheese was made for the family. Although time has moved on, the focus is still on producing delicious, Irish, artisan, flavoured cheeses, using traditional hand-made production methods. 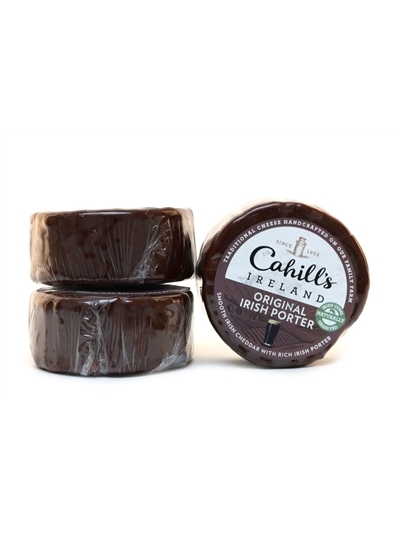 And whilst much of the tradition has been preserved Cahill’s have embraced the use of modern technology, where possible, to improve the quality of our cheesemaking process. 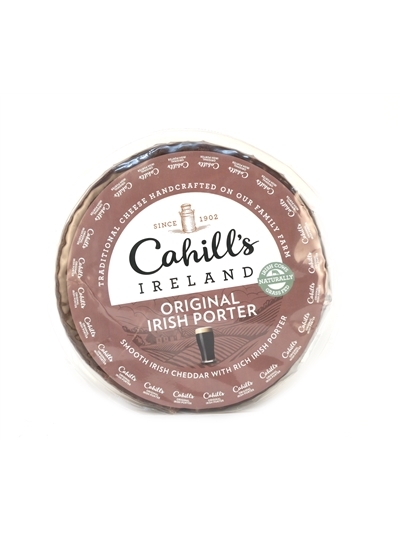 Cahills Porter Cheese 2.2kg approx.